Shopping east of Phoenix for stylish storage solutions, modern kitchenware, dorm bedding and trendy home décor ideas? 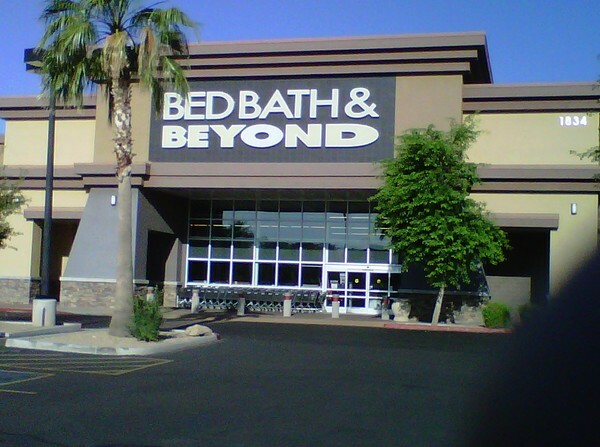 Get the style you want and shop all the brands you love at the Bed Bath & Beyond® store near you in Mesa; you’ll find it in the Superstition Gateway West shopping center, which is just off Superstition Freeway at the S Signal Butte Rd. exit. Make the most of life in Phoenix’s East Valley: get inspired and get everything you need for your home at this Bed Bath & Beyond® store located at 1834 South Signal Butte Road, Mesa, AZ 85209; (480) 357-3521. College-bound? Use the college checklist and registry to get twin XL sheets, tailgating supplies and dorm essentials; friendly and knowledgeable associates are ready to assist you with your selections during store hours.